One of 2017’s most unexpected success stories is SEGA’s Yakuza series. Against all odds, the crime-themed action games have finally started to catch on in North America more than 12 years after the series premiered on PlayStation 2. After the success of Yakuza 0, it’s only fitting that the series’ debut should get a second chance to win gamers over. Yakuza Kiwami isn’t just a mere HD upgrade of the original, though; it’s a full blown remake with a ton of new features. As someone who played the (Japan exclusive) HD version of Yakuza earlier this year, the changes were easily spotted. Kiwami uses the same engine that 0 used, meaning that the predetermined camera angles and constant load times of the PlayStation 2 version are gone. Anyone who played the prequel earlier this year should know exactly what to expect from the engine, as it details Kamurocho in tremendous detail. It also includes the battle system from Yakuza 0, which gives Kiryu three separate fighting styles to use in combat. A fourth style, a similar style to how Kiryu fought in the original, can also be used, but its moves have to be unlocked by battling Kiryu’s rival, Majima (more on that later). Even if the combat still can’t be described as great (gameplay has never been the series’ strength), it’s really night-and-day when compared to the awkward and stiff fighting found in the 2005 release. Beyond the gorgeous new coat of paint and enhanced gameplay, Kiwami also features many new story scenes. 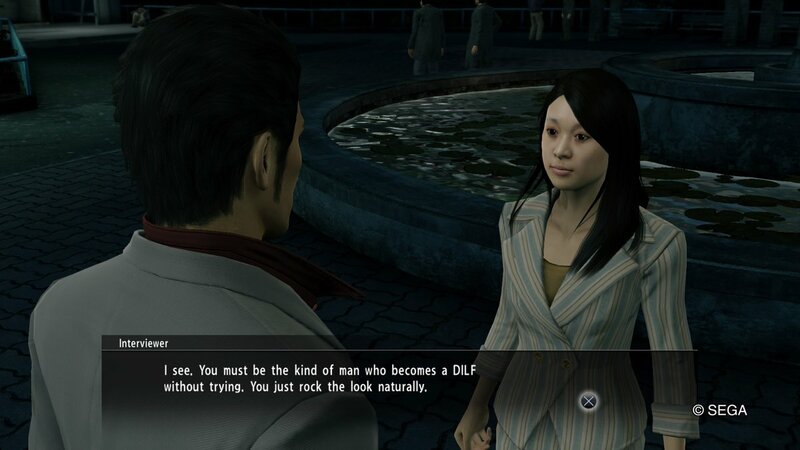 A lot of the additional ones are simple side-stories that help to flesh out the world of Yakuza, but many of them tie directly into the main storyline. In particular, Nishikiyama’s transformation from Kiryu’s best friend and brother in Yakuza 0 to a villainous traitor is handled much better. Players get to see what led him down the darker path in the 10 years that Kiryu spends behind bars, and he becomes a much more sympathetic figure due to it. There are also a ton of small references to the prequel added in, and this makes 0 feel much more important in the grand scheme of things. It’s great to have those memories acknowledged in-game, and it made me so happy when I saw familiar faces like the Pocket Circuit Fighter (who somehow managed to get a girlfriend!). Other additions aren’t such a sterling success. As someone who deeply loves the character of Goro Majima, I was excited about the game’s Majima Everywhere system. This basically is in place of 0‘s Mr. Shakedown, and Kiryu will have the opportunity to go up against Majima in combat throughout the game. It’s a great idea in theory, and those who got to learn Majima’s backstory in the prequel will surely want to see him more, but sadly the execution isn’t great. 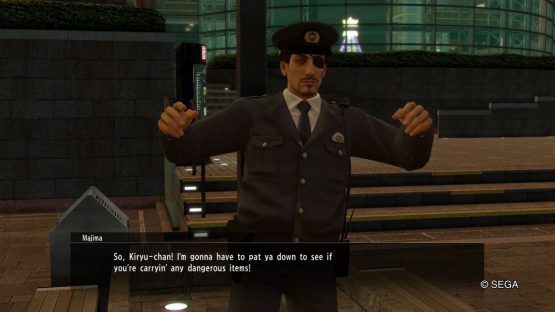 It actually undercuts the main story in certain spots, as Majima appeared dress like a cop (as you can see above) less than a minute after I witnessed him get stabbed in a story cut-scene. Despite not working perfectly, the Majima Everywhere system is still more of a success than it is a failure. A lot of the battles are accompanied with stories, such as Majima pretending to be a bartender, and these lead to some of Yakuza 0‘s funniest moments. The fights can be somewhat infrequent, though, as I once went almost six hours without seeing Majima. That’s a bummer since the game’s Dragon fight style is tied to fighting Majima, and I never got to flesh out Kiryu’s best fighting style since I came across Majima so rarely. Since it’s a faithful remake of a 2005 title, Kiwami can feel really limited when compared to recent games in the series. The biggest thing is that the game’s scope seems tiny when compared to the adventure in Yakuza 5 that saw five characters travel to multiple cities and locations. It’s still a lengthy game (it took me 24 hours to finish the story, while also getting distracted enough to do about 40 sub-events), but it’s definitely a step backwards from the two cities that 0 featured. This feeling of being limited is probably why the game is priced at a mere $29.99, but it’s still enough to slightly detract from the experience (especially if you’ve played other games). The other major issue that Kiwami runs into is some annoying game design that stems from the 2005 original. Yakuza has never had the greatest encounter designs (don’t even get me started on the final fight in Yakuza 4), but a lot of the fights in Kiwami boil down to the game throwing 20 baddies at Kiryu. Playing on normal, I never died during combat, but getting crowded and knifed repeatedly by foes ends up being more annoying than a satisfying challenge. There’s also a pretty lame car shootout sequence (tip: remember that you can slow down time during that scene so you don’t fail it three times like I did). Yet, for the most part, the sub-standard design doesn’t bring down the story. It all mostly ranges from serviceable to fun, and the fantastic localization and storytelling more than make up for some frustrating moments. As a remake, Kiwami is a triumphant success. Not only is it leaps and bounds more playable than the PS2 original, the additional scenes help flesh out character motivations. This all makes the story of Kiryu’s rise feel more special, and it’s a perfect continuation for those who recently played Yakuza 0. There are some disappointments, though, as just roaming around Kamurocho feels like a step backwards from previous games that featured multiple cities to explore, but that’s just an unfortunate side-effect of being a remake of a much-less ambitious title. The new bells and whistles make Yakuza Kiwami a worthwhile time no matter if you’ve played the original or not. Yakuza Kiwami review code provided by publisher. Reviewed on PlayStation 4 Pro. For more information on scoring, please read our Review Policy.